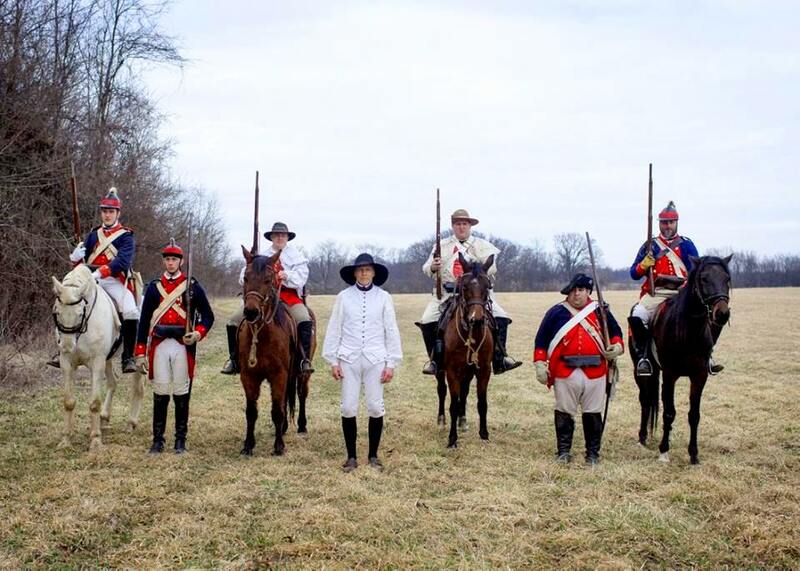 Last weekend, the Forest Glen reenactment proved that trying new things can really make a difference. I’m not saying that new things always work out, but I truly believe that they bring a fresh, renewed energy to any event. Like free coffee and ice for reenactors. Who can complain about that? Not that I always like those “new things.” Sometimes people do things that I think are ridiculous. Case in point: Yvonna. You know who you are. 🙂 Actually, I thought a man dressing as a woman in shift, petticoat, and cap was the most ridiculous thing ever. I complained about it to a friend, but that friend corrected me, and I’m glad she did. Apparently, that’s very authentic. To make camp life a little more fun (and I’m sure rum was involved in this), men dressed up as women. We’ve got all sorts of prints to prove it. 18th century cross dressers. And once you know that, Yvonna is hilarious, and completely worthwhile to have walking around. That was my fault. And it just goes to show. I should have followed my own advice. I’m always encouraging people to let others try their ideas. But here’s the thing: if these new ideas don’t work out, then hopefully the people trying them are wise enough to do their “new thing” differently next time. If they aren’t, that’s when we can encourage them to do things a little differently. But we have to let them try. 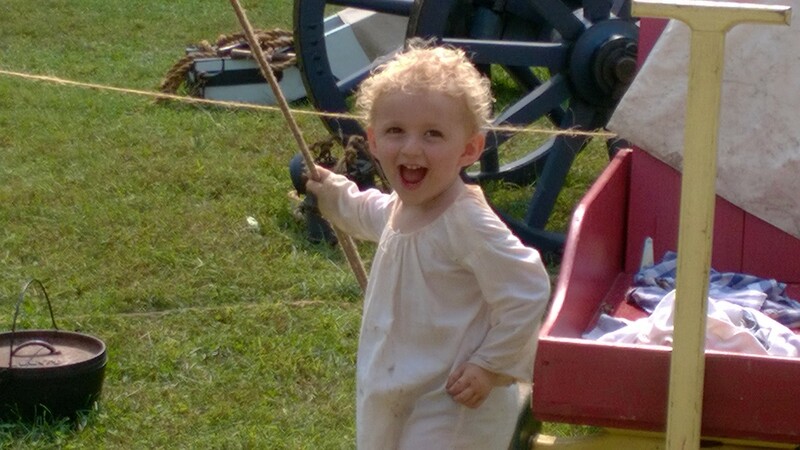 At Forest Glen this year, we did a number of “new things.” We did a demonstration contest, where any reenactor could sign up, present a rope line demonstration, and be considered for the $50 prize. We had four demonstrations (some with just one person, some with a pair): 18th century women’s hair styles, reenactor documentation, musket cleaning, and the winner, the hammered dulcimer. I very much hope we do this contest at Forest Glen again next year, because it gave people, including myself, a reason to try something new. And I hope reenactors who were intimidated by this contest but secretly wanted to try it, feel comfortable giving it a shot next year. I think the problem we face is trying to be just as supportive of ideas we think are silly, as we are of the ideas we think are good. Opinion is subjective. And its amazing how much more involved people feel when they are able to bring their ideas to life. The women’s skillet throw, for example. That was the first project I really took under my wing at the Forest Glen reenactment, and while some would say it’s “farbie” and I can’t disagree, it gets people out of camp, the kids love it, and there are some people who actually come to Forest Glen because it’s a competition they can participate in. Is that a success? It depends on who you ask. 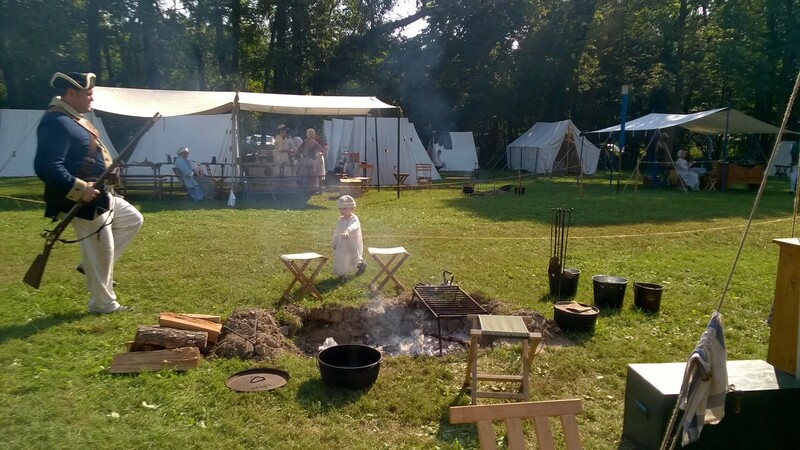 But it encouraged me to step up and try other new things that I think have really helped the Forest Glen reenactment, and gave me to the confidence to get more involved. Next weekend, October 8 and 9, 2016, we will be at the Dollinger Farm Revolutionary War reenactment in Channahon, IL (south of Joliet). I’m involved in an attempt at a spy ring that is discovered, leading to the battle on both Saturday and Sunday. I don’t have a big part to play in this series of small skits, but I’ve been very involved in the organization aspect of it. 1st Regiment Light Dragoons 5th Troop, photo used with permission. Honestly, I can’t wait. We’re trying very hard to make this seem realistic and not cheesy. Half of it doesn’t even have to play out correctly for the spy ring to work, though obviously we hope it does. But if half of it doesn’t have to be perfect, why do it? To try something new. To add to the new energy reenactors are bringing to events. To inspire theater-minded reenactors to do something they didn’t realize they could. And to have fun ourselves. We also really want to get the crowd’s attention, and steer them in the direction of the battlefield so that they’ll watch the battle in the field behind the corn maze…but that’s the more logistical reason that allowed us to be creative. And who knows? Maybe this will inspire someone else to step up and do something silly. And maybe that silly new thing will turn into something awesome. If that’s all that comes out of this, then I think we did something right. Oh, the cross-dressing, lol! …I don’t know that we have documentation that, in public, men did a lot of cross-dressing. There are prints that depict cross-dressing, but I question whether most are meant to be taken as a “real life” joke or something that is meaningful and funny in print (many are pretty clearly tongue-in-cheek humor) but not representative of real life. I’m not suggesting it *never* happened, but I also don’t think it should become our regular Saturday afternoon gag, either. The demo competition was so brilliant because it really allowed for a wide range of ideas, so we didn’t have to all be pulling from one source or concept or idea! I’m all for trying new things, and we have a rich, vast record of historical sources that can provide inspiration! Like sack races. (Yaaaaas! You know you want to!) And I hope more people try the demo competition next year, because it was such a focused and convenient way to highlight what many of us are already doing, and give the public a more deliberate way to engage with it.